take away anything that doesn’t bear critical weight. Ezra Pound said to go in fear of abstractions. “At the touch of a lover, everyone becomes a poet,” said Neruda. 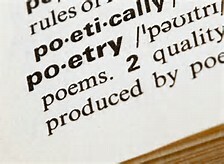 oh, coming from you, one of my poetry goddesses, that means so much. thank you! and see you soon! You are so good at this…I love your work, Anna. And this piece is a keeper, for sure. Thanks for sharing! What a rich broth of a poem! You are currently reading poetry workshop at anna quinn.